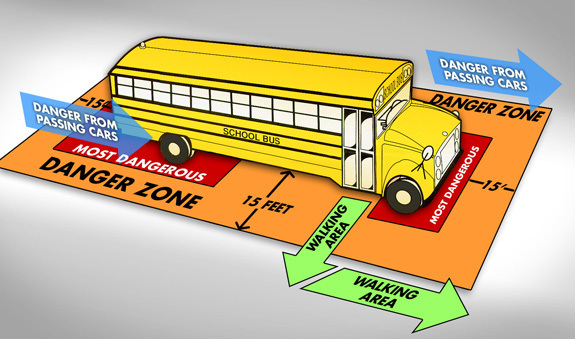 Here are some helpful tips that can further assure your children's safety and a safer bus ride. Pay attention to your surroundings; listening to your music player or playing handheld video games may lead to distractions and potential injury. Stay at a safe distance from the street and don’t play around while waiting for the bus. Stay 10 giant steps away from the outside of the bus while the bus is pulling up so the driver can see you. Wait for the bus to stop completely before you move towards it to get on, or before you stand up to get off. Hold the handrail going up and down the stairwell so you don’t trip. Stay away from the bus wheels at all times - the driver cannot see you.